The punishment imposed on the February 28 defendants is certainly insufficient. In addition, those who took part in this coup knew very well that the participants in this modern coup were not just those accused. Politicians, businessmen and the media have been excluded from this provision. 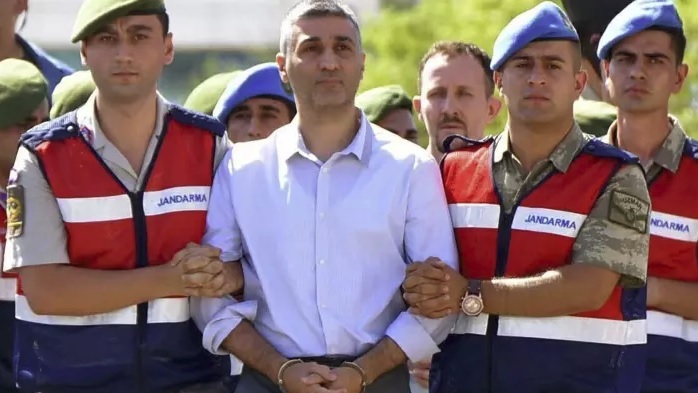 In addition, the suspension of life imprisonment for the coup d’état under the pretext of “age and health” was tantamount to protecting the coupists. On the other hand, there are still a large number of Muslim prisoners who were victims of February 28 in prisons, where they spent their lives and lost their health, and some even died in these cold prisons! Some remain in prison despite their poor health and old age. Nevertheless, the stance of the authorities and the judiciary who showed their mercy to the Kemalists; was to disown the oppressed Muslims who were victims of the coup. The conviction of the February 28 case is clear evidence that the crime was committed at the time. The court’s decision that those who sent Muslims with fabricated evidence to the prisons were proven to be the original culprits. And that Muslims were imprisoned unjustly and aggressively, and they should have been released and freed from breathing the air of cells after identifying the real criminals in this case. The public opinion here must realize that the Government, within the scope of the existing emergency, can take a decision as a law and put it into effect as quickly as possible. Thus, its lingering to taking any concrete steps regarding the victims of February 28 should provoke public opinion and public sentiment. The one who accepts injustice is an oppressor and the belated justice is not considered justice. The recent coup attempt on 28th February did not only target the elected government of that period. But was – according to the coupists – a comprehensive war against Islam and the Islamic way of life and the ideas of Muslims and their beliefs. So what happened thereafter? Every voice that did not sanctify the government was silenced, and any advice or accounting on the basis of Islam was considered a crime to be held accountable for, and some professors were subjected to insult and harsh criticism; the provisions of Islam have then become narrow to them, so they went on to call for the modernization of Islam, and change its provisions that have not changed over fourteen centuries. The government did not stop at that, it began to move on the mentality of February 28, and July 15, and it turned its back on the Muslims who responded to her calls, and sought to satisfy the secular Kemalist mentality of the February 28 movement. We in Hizb ut Tahrir Wilayah of Turkey call unto the government and the public opinion clearly, that we have never been silent on the injustice of any government and will not be silent. We will remain the protectors of Islam against those who destroy it in the name of reform and modernization, and we will continue uninterruptedly to work through the political and intellectual perspective, to resume the Islamic way of life. Do not forget that the unjust judicial decisions that you have taken against us will remain as unjust and a burden on your necks, and Allah is sufficient for us in what we endure of harm in the path of resuming the Islamic way of life and establishing the Khilafah Rashidah (righteous Caliphate) on the method of Prophethood.